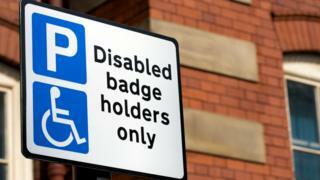 Plans to introduce car parking charges for blue badge holders have moved a step closer in Wrexham county borough. Wrexham council hopes to raise about £25,000 through disabled parking charges. And a scrutiny committee decided not to call in the proposal on Wednesday, despite six councillors' concerns that a consultation was "premature". Council leaders want to bring disabled parking charges in line with the usual tariffs in all local authority car parks across Wrexham. The plans would give permit holders an extra hour's grace to return to their vehicle. Blue badge holders, those who are registered disabled, can currently park for free in all council car parks. It means a consultation will begin in the next two weeks, with charges potentially being introduced in April. The six councillors had raised concerns about whether cash generated from the charges would be offset by the costs of changing signs. The full council will consider all budget proposals at a meeting next week.